R4i-SDHC 3DS RTS with kernel V1.84b works on 3DSv11.1.0-34? Three days ago, r4i-sdhc released a new kernel for Nintendo 3DS11.1.1-34. This kernel is for R4i-SDHC 3DS card. With using this kernel, R4i-sdhc 3ds can support DS games on 3DSv11.1.0. 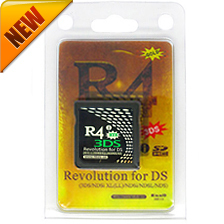 This r4i card is a popular DS flashcart which has enhanced firmware and RTS function. Does R4i-SDHC 3DS RTS support 3DS games or 3DS homebrew? No, R4i-SDHC 3DS is a still an DS flashcard which can only support DS games and ds homebrews on NEW3DS/3DS/DSI/DS console. If you want to paly 3ds games, sky3ds+ is good choice. Sony Playstation is really popular recently. For PS4 users who also own PS3, PS2, Xbox One and Xbox 360 consoles and controllers. There is no need to buy a new original controller for your new PS4. You can use the controller converters to play on your PS4 with your PS2/PS3/Xbox One/Xbox 360 controllers. It allows you to use PS3 controllers to play on your PS4 console and PC. The USB-sided PS3 to PS4 Controller Converter register automatically without requiring authorization from an original gamepad. When you use PS3 controller via converter at the first time, you need to use USB cable to connect controller and converter. It supports vibration, turbo and custom buttons function. It supports wired and wireless PS2 controller such as joysticks, wired Playstation 2 gamepads, and steering wheels amongst other original and 3rd party PS2 compatible peripherals on your PS3, PS4 and PC. No original controller needed for verification. Supports turbo and custom buttons function. Cronusmax Plus allows you to use any of your Xbox One, Playstation 3, PS4,Xbox 360 controllers on virtually any console you want:Xbox One, Playstation 3, PS4,Xbox 360 and Windows PC. It also allows you to convert your controller into a fully modded controller without installing any chips or other devices. Features: cross-over gaming, precision mouse & keyboard control, fully rapidfire tuned controller-play and plug, macro programming. With continuous working hard, TheFloW released new update of his firmware-VitaShell 1.2 which offers manager, package installer and built-in FTP under PS Vita Henkaku. The new update adds many powerful and useful features, such as export photo/music files and unused updater bubble removal. If you want to the new version of VitaShell, download the latest VitaShell.vpk and install it on your PS Vita 3.60 Henkaku. ■ Added ability to export photo and music files (‘More’ -> ‘Export media’). ■ Added battery percentage to system information (thanks to littlebalup). ■ Added toolbox where more features will have place, by theorywrong (press START). ■ Improved stability for file browser delete operation. ■ Pressing L in the music player will now restart the song if the song is not at the beginning. ■ VitaShell will now remove the unused updater bubble after successful updating. 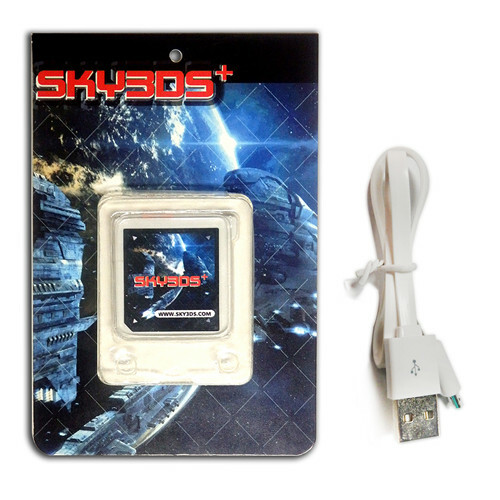 Sky3ds+ is one the 3ds flashcart which can support 3DS games on any 3DS firmware version including the latest 11.1.0-34. SKY3DS+ supports 3DS homebrew exploit on 3DSv11.1.0-34: ninjhax 2.7 and freackyhax. You can install one of them to play region free 3ds games. There are several powerful function of sky3ds+. It can always support the newest 3ds games such as FEIf/MHX/Animal Crossing/Legend Of Zelda Triforce Heros. Card users can play many online games with one private header. Please notice that sky3ds+ can only support 3DS gams, no NSD games. The price of sky3ds has been dropped a lot. Card users who want to play 3ds roms with cheap price can choose sky3ds. Please remember that sky3ds can not support the AP checks 3ds games. When you decide to buy 3ds flashcart, you should have decided to play some games when you get it. Please check if these games you prefer are Ap checks or non AP checks. Supports NEW3DS/3DSLL, 3DS/3DSLL/3DSXL, 2DS, DSI/DSIXL, NDS/NDSL. Compatible with DSi V1.45 and 3DSV11.1.0-34. R4I GOLD 3DS is the first card to run homebrew on 3DS. It uses wood firmware which is really stable. The DS flashcart nearly support all the NDS games and it has some fetures: good homebrew compatibility,has cheat support, support clean ROMs. With moonshell you can play various audio formats, view various image formats, and play DPG videos. 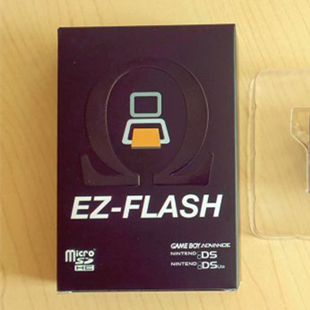 ACE3DS PLUS is the cheapest flashcart in the market. It can always support NDS games on NEW3DS/3DS/2DS/DS. It has several built-in emulators including FC、GBC、GB、MD、NEOGEO. You can also use Ace3ds plus to dump the private header from your original gamecard. Real-time save, real-time guide,user-cheat features. Compatible with 3DS V11.1.0-34 (J.U.E)and DSi V1.45. Use wood firmware,quicker firmware updating . Double game engines, full-featured upgrade cheat function, convenient file-operate function. Support NEW3DS/3DSLL, 3DS/3DSLL/3DSXL, 2DS, DSI/DSIXL, NDS/NDSL. Compatible with DSiV1.45 and 3DSV11.1.0-34 directly. Double game engines, real time save, real time strategy, full-featured upgrade cheat function.